There is no feeling as equally overwhelming and futile as walking through the convention halls of Las Vegas, staring at 1,000 identical TVs, and trying to squint out the future between the bezels. But the annual Consumer Electronics Show, going on now, really is the best place to get a peek at the world to come. With every major electronics manufacturer in attendance, jockeying for attention from the crowd, you can spot not just the incremental improvements but the true paradigm shifts that could change the way we work and live. Here are some of the best ideas out of CES 2017. Takeaway: Car companies know their role in your life is changing, and our vehicles could be at a real inflection point soon. Takeaway: As screens become ever more present in our lives, prepare for an ear onslaught, too. Takeway: We’ll be using real objects in the virtual world sooner than we think. Takeaway: While everyone is talking about AR/VR headsets, don’t count smart projectors out. Many UX designers still believe in them. 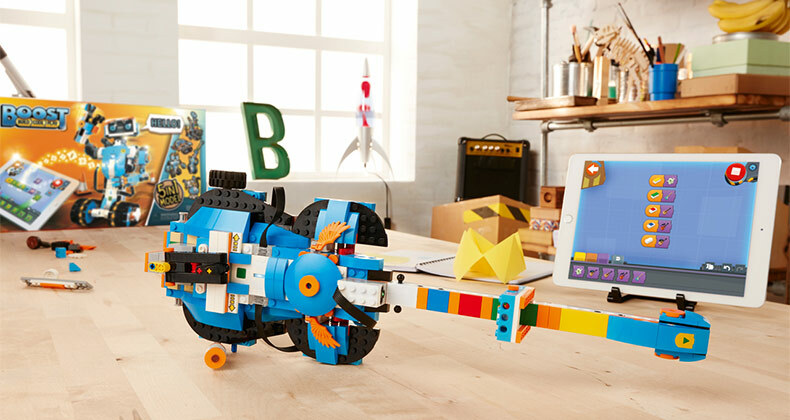 Takeaway: Toys and “coding toys” may actually be melding into a system worthy of kids’ time. At CES, voice is becoming more pervasive than ever because it’s just going to be baked into . . . everything. This means companies are making their own Amazon Echo clones, sure, but also integrating voice assistants into everyday products. Nvidia is turning Google Home into something akin to a nightlight you plug into any wall socket, and LG is sticking Alexa into not only refrigerators but also robots. And Ford now has Alexa in its cars. Takeaway: We may be headed toward a talkapocalypse, but for voice control to ever take off, everything needs to be listening—and by current trends, it seems like it will be.